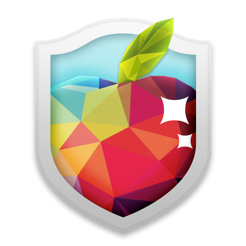 System Cleaner & Antivirus Movavi is a powerful yet user-friendly application for OS X systems that will speed up your Mac and protect it against a whole range of cyberthreats. When computers start running slowly, it’s often because the hard drive gets clogged up with unnecessary files that users don’t even know exist. 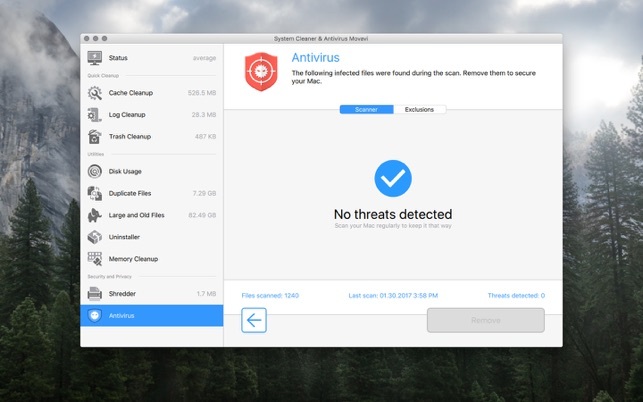 System Cleaner & Antivirus Movavi can track down these files and remove them in a flash, freeing up space and improving the overall performance of your Mac. What’s more, System Cleaner & Antivirus Movavi is a great way to protect your computer against internet threats. With the powerful antivirus tool, you can thoroughly scan your system and easily get rid of infected files. Plus, the program is really easy to use thanks to its simple, streamlined interface. Safely remove cache and log files that are wasting space on your hard drive. Reclaim free disk space by removing files in the Trash. Scan your hard drive to see which folders take up the most space. 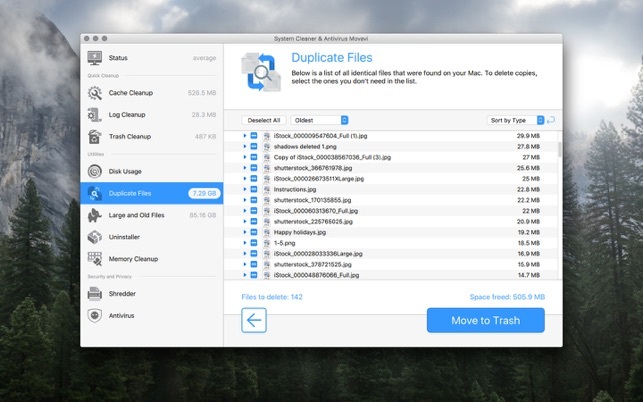 Track down and delete identical versions of files taking up space on your Mac. 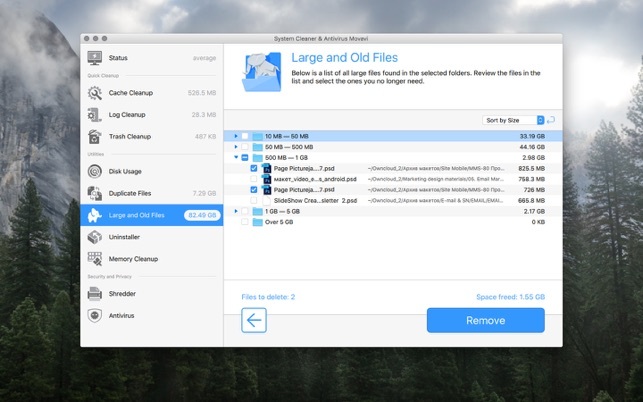 Clear out gigabytes of space in one fell swoop by removing overweight, long-forgotten files - give your computer more room to breathe. Completely remove both user-installed and default OS X applications (Mail, Safari, Chess, etc.). Clean up any files left over from previously uninstalled programs. Give your Mac a significant performance boost by clearing out the clutter from your system’s memory. 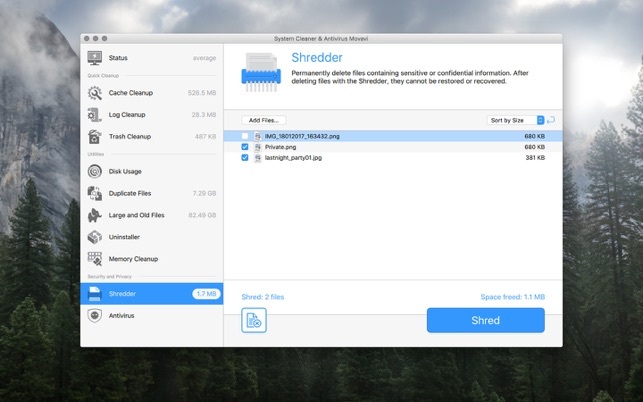 Protect your privacy by removing files with confidential data for good. Protect your computer from network attacks by customizing the rules for inbound traffic. Use the built-in antivirus protection to protect your computer against malware. If you want your computer to stay in good shape, you need to clean it out and scan for viruses regularly. 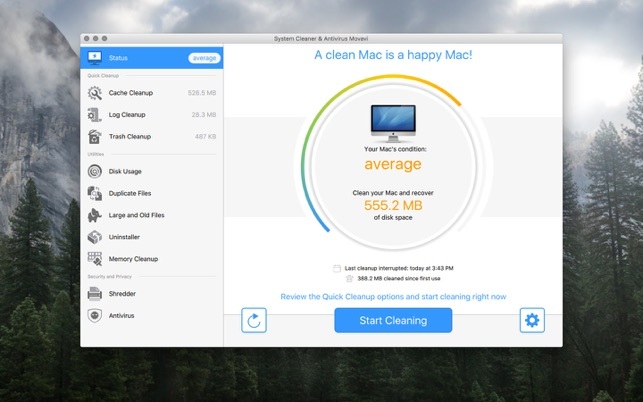 Let System Cleaner & Antivirus take care of your Mac and it will always be as good as new! My 1TB SSD was maxing out, but I knew I should have had plenty of free space. This program quickly cleaned my hard drive and recovered almost 80GB, then the Duplicate and Large file modules helped me locate over 200GB of duplicate and large files that I could easily delete. Program is VERY EASY to use, and well worth the money. Built-in antivirus a great plus! Very good app keeps my mac clean. Would like to be informed whenever there is an update. Please send notification to users.